Two industrial buildings caught fire as a result of the plane crash. 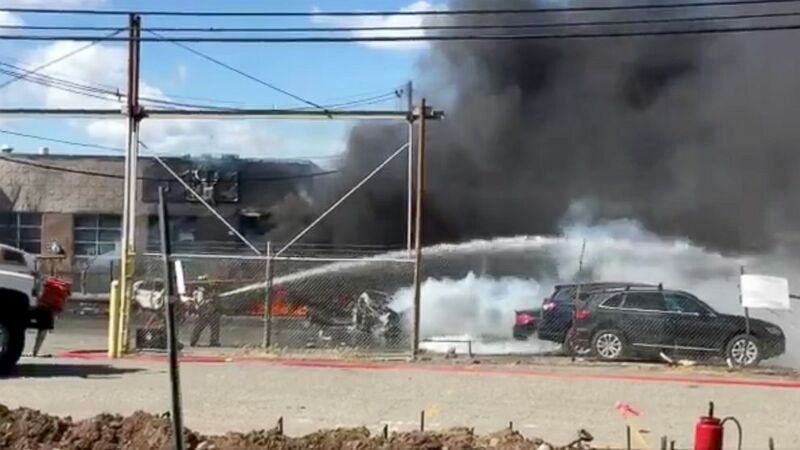 Two crewmembers are dead after a small plane crashed this afternoon in an industrial area in the northern New Jersey town of Carlstadt. 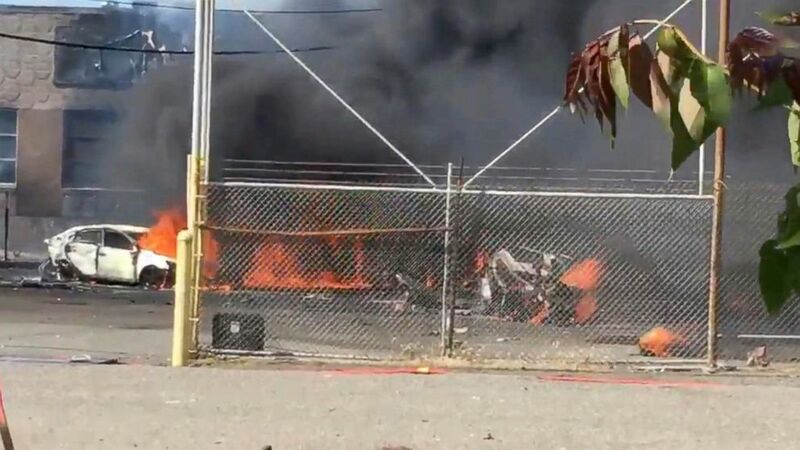 The Federal Aviation Administration said a Learjet 35 that was en route from Philadelphia International Airport to New Jersey's Teterboro Airport crashed at 3:30 p.m. while on approach to Runway 1 at Teterboro. 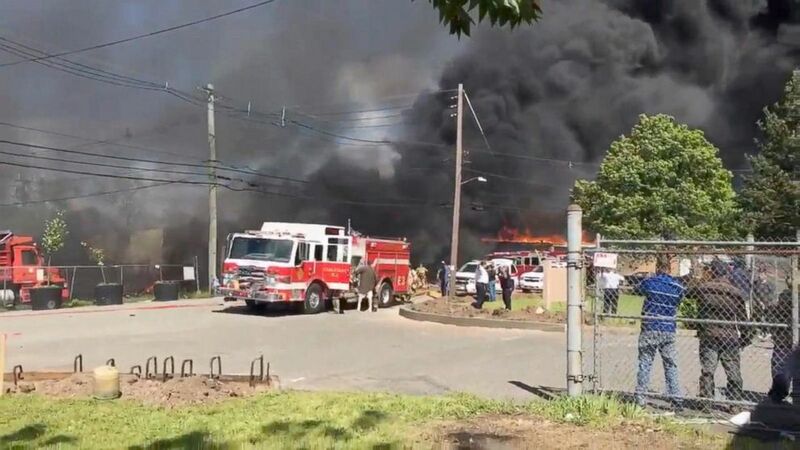 (Jeff Williams) A small plane crashed in northern New Jersey, May 15, 2017. Fire officials confirmed in a press conference today that two industrial buildings caught fire as a result of the plane crash and that everyone in those buildings has been safely evacuated and accounted for. So far, there are no reported injuries from anyone on the ground. The plane, which is certified for 10 seats, left Philadelphia at 3:04 p.m. local time. 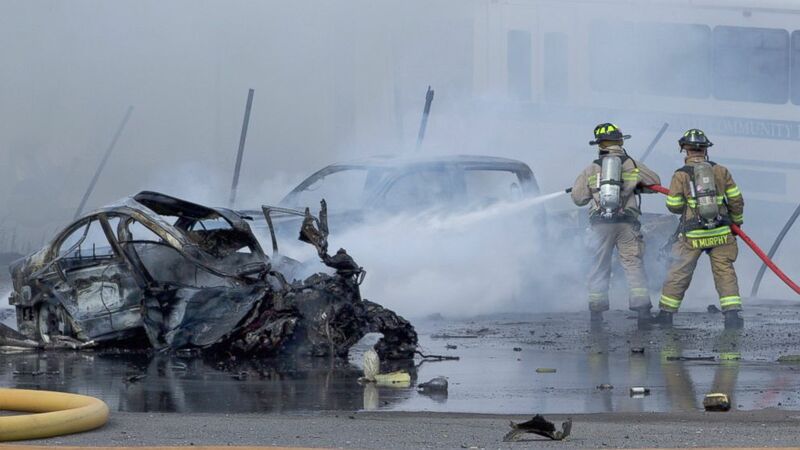 The plane went down in a residential area about a quarter of a mile from the airport, the FAA said. 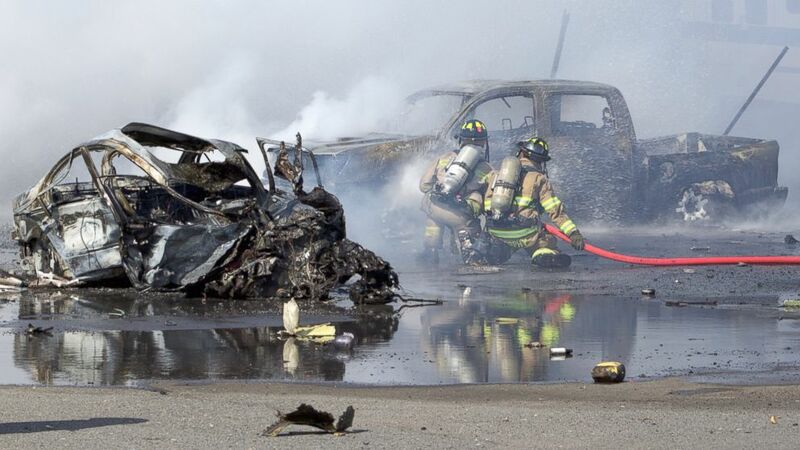 Air traffic control audio suggests the flight was progressing smoothly until just before the crash. No mayday call appears to have been placed, and just 37 seconds after the pilot's last recorded communication with air traffic control, another pilot informs the tower, "a Learjet just crashed." (GodwinClassic33/Twitter) A small plane crashed in northern New Jersey, May 15, 2017. Video on Twitter showed smoke billowing across the sky. 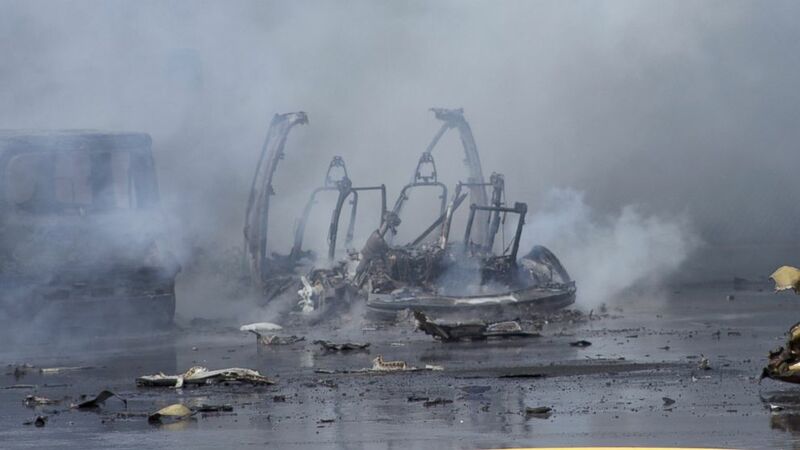 Teterboro Airport has been closed and the FAA responded to the scene. 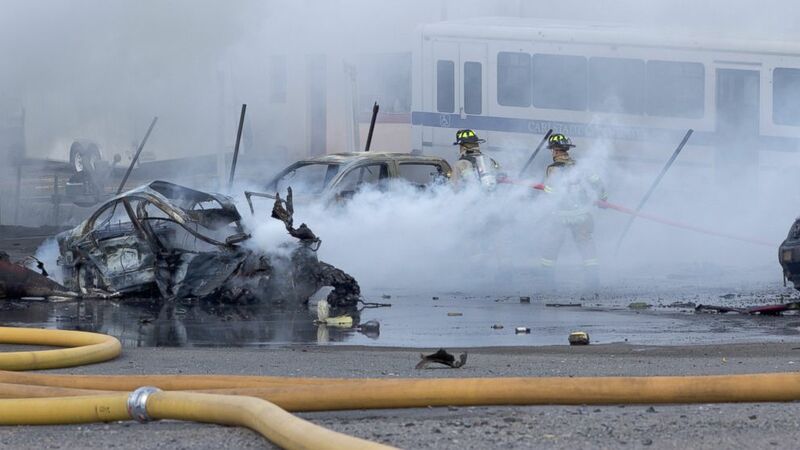 ABC News' Whitney Lloyd and Courtney Connley contributed to this report.